Who: Surfer Blood from Florida. 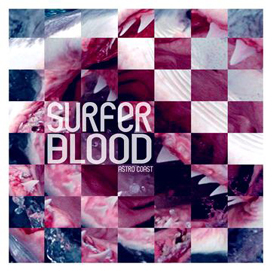 What: Riding high off the response from releasing their first single Swim (named #37 on Pitchforks 100 Best Tracks of 2009 and our best of 2009 list), Surfer Blood are giving us a second taste off the upcoming debut on Kanine (called Astro Coast) in the form of Floating Vibes. Fill your holidays with these songs from a fuzzy Floridian five-piece with a knack of writing really catchy tunes.